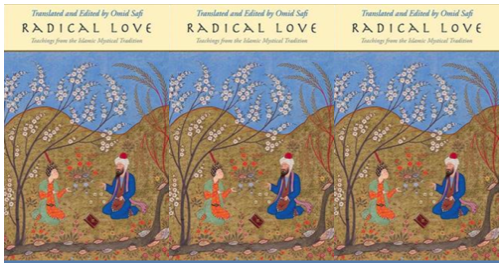 [Book Review] Radical Love: Teachings from the Islamic Mystical Tradition by Omid Safi | Reviewed by Cyrus Ali Zargar. 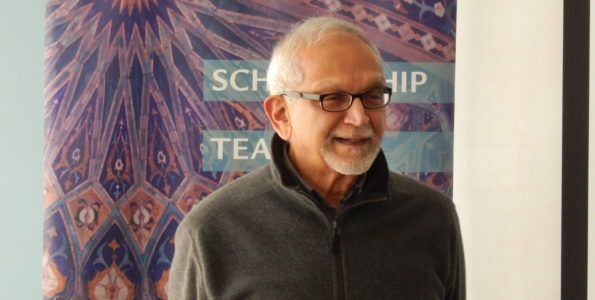 Cyrus Ali Zargar is Al-Ghazali Distinguished Professor of Islamic Studies at the University of Central Florida. His first book, Sufi Aesthetics: Beauty, Love, and the Human Form in Ibn ʿArabi and ʿIraqi, was published in 2011 by the University of South Carolina Press. His most recent book, The Polished Mirror: Storytelling and the Pursuit of Virtue in Islamic Philosophy and Sufism, was published in 2017 by Oneworld Press. 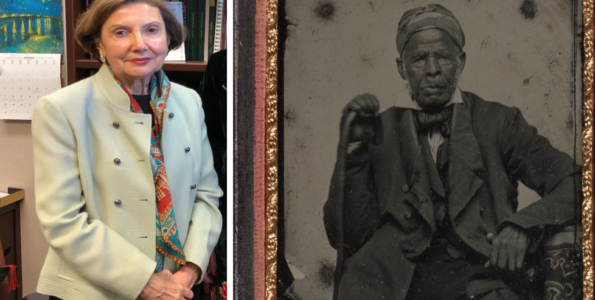 Zargar’s research interests focus on the literature of medieval Sufism in Arabic and Persian. This includes metaphysical, aesthetic, and ethical intersections between Sufism and Islamic philosophy, as well as Sufi ethical treatises, the writings of Ibn al-ʿArabī and early adherents to his worldview, Safavid Shiʿi mysticism, contemporary Iranian cinema, and satire in medieval and modern literature. 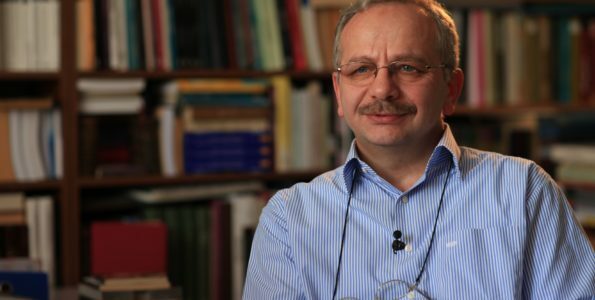 He is the author of articles in The Muslim World, Iranian Studies, The Journal of Arabic Literature, and Encyclopædia Iranica. Omid Safi. Radical Love: Teachings from the Islamic Mystical Tradition (New Haven and London: Yale University Press, 2018). 284 pages. $25.00 hardcover | Reviewed by Cyrus Zargar. Omid Safi’s Radical Love: Teachings from the Islamic Mystical Tradition is an anthology of poems and aphorisms focusing mostly on Sufi poetry, as well as the Qur’an and Hadith. As a collection of translations, supported by an introduction, Radical Love is not meant to be an analytical work, at least not in the historical or literary sense. It is, rather, a gateway—through literature—to salient concepts in classical Islamic writings on spiritual love. As such, its successes must be measured against other such translations. Contemporary English collections of Arabic and Persian Sufi poetry have aimed for the marriage of poetic resonance and source fidelity, and these include those of Th. Emil Homerin, Michael Sells, Sholeh Wolpé, and Jawid Mojaddedi, among others. Safi’s anthology reaches out to a wide audience—the audience of Coleman Barks and Daniel Ladinsky—while exercising less license than either Barks or Ladinsky. The introduction includes brief biographies of the major figures quoted throughout that focus on each writer’s distinctive contributions to the discourse of love. 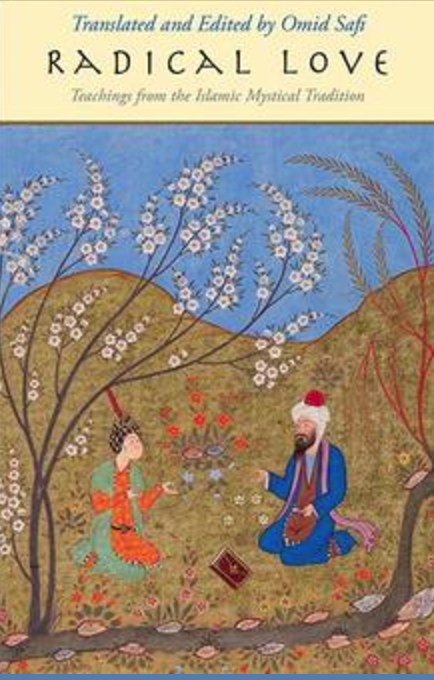 Safi also offers theological and historical reflections on love in Islam, summaries of cosmologies of love that one finds in the thought of poets such as Rūmī (d. 1273) and Fakhr al-Dīn ʿIrāqī (d. 1289). Safi’s translations, however, are the highlight of the anthology. There are rare occasions when Safi includes translations by others, but the bulk of the poems and passages are original translations, which aim not for equivalence at word level, but rather to “convey something of the fire and spirit of the original” (Safi xxxvii). a memento [of God’s love in creation] that remains in this revolving dome. The epistrophic pairing in the phrase “lovelier / than the melody of love” matches the theme of the bayt, the theme of sensory beauty, to its sound. Safi conveys a sense of finality—the finality of humans bound to this world—through two trochaic feet followed by a conclusive, stressed word: “whirling azure dome.” In these ways, the translation of this bayt of poetry simultaneously stimulates the reader’s dual senses of appreciation for beautiful language and eagerness to know more. Beyond that, Safi’s contribution is his careful selection of this one bayt from a ten-bayt poem. Safi directs the reader’s attention, orienting the reader to one particular, meaningful idea. Radical Love’s endearing quality lies, at least in part, in Safi’s less-is-more approach to introducing Islam’s poetics of love. The Throne is on water and the cosmos sits on air. Go beyond water and air: it is all God. It is He and nothing more, and all this is nothing more than a name. Look closely [to see] that this world and the next are He. There is nothing but Him, and if there is, that’s Him too. It is all one essence but with different qualifiers. It is all one word but with various expressions. to be able to recognize him through one hundred different garments. there is nothing but names. There is nothing other than Him. As can be seen here, Safi’s translation achieves approachability not by veering from the source text, nor by adding contemporary references, but through brevity and the careful selection of passages and vocabulary. Able teachers often take great pains not to introduce an overabundance of terms, especially to students completely unfamiliar with a topic and hence intimidated by it. This is a practice supported by Cognitive Load Theory, a pedagogical outlook that supports stripping problems down to their essential components to increase student engagement. Safi’s approach to Islamic love poetry acknowledges ways in which minimizing content, selectively presenting what needs to be said, can maximize focus. The challenge in writing an anthology of medieval Sufi love poetry and Islamic maxims for general readers is that sometimes even the smallest degree of reference to that which interests the specialist gives the text an air of inaccessibility. Safi’s collection readily embraces accessibility: his intended audience—general interest readers, spiritual seekers, lovers of poetry, and readers of Rūmī—can grasp the collection of poems and enjoy them. Moreover, the reader encounters throughout the volume a sense of timeliness to Safi’s embrace of what might be called “the spiritual.” What we are reading is not a historical or literary-critical interpretation of Sufi poetry, but rather something, in some ways, more daring: An introduction to Safi’s vision of the living ethical impulses behind such poetry. In order to accomplish that, Safi translates in a way that does not only go beyond lexical deciphering, and the semantic sense of the source text, but rather conveys to the English-language reader an aesthetic sense as well. Capturing nuances in their Persian and Arabic originals, while still clear and earnest, Safi’s translations are well-suited for those reading for pleasure, as well as for instructors of classes on Islam, world religions, comparative mysticism, and comparative literature. Ḥāfiẓ, Khwāja Shams al-Dīn Muḥammad. Dīwān-i Ḥāfiẓ, ed. Parwīz Nātil-Khānlarī (Tehran: Khwārazmī, 1983-4 [1980-1]), p. 366, no. 175. Farīd al-Dīn ʿAṭṭār, Manṭiq al-Ṭayr, ed. Muḥammad-Riḍā Shafīʿī-Kadkanī (Tehran: Sukhan, 2012-2013), p. 235, ll. 60-4.